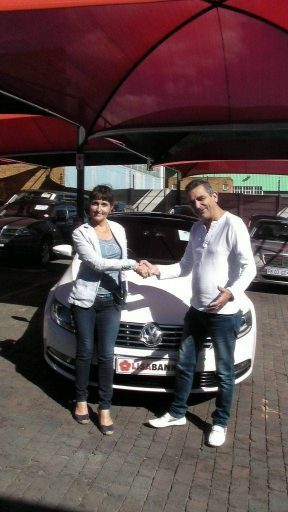 LisaCars's 10'000th car purchased, Well done Valentina! Established in 2010 with the realisation that many people would love to own a car. We began with 2 staff members and one branch. Today in 2018 we have six branches in Gauteng, a diverse and strong team of 150 and a management team that has over 150 years’ experience in the motor industry. LisaCars gives car buyers the benefit of test driving and examining vehicles. Most repossessed automobiles are available through the auction process. By visiting LisaCars, you are assured of a professional, quality purchase. We pride ourselves, in offering wholesale cars at rock bottom prices. We offer over 300 quality affordable cars, you as a client are able to purchase by paying cash or obtaining finance through all major financial institutions. At LisaCars we cater for all your vehicle needs, you are sure to find the right car at the right price. We are passionate about servicing the motoring public. 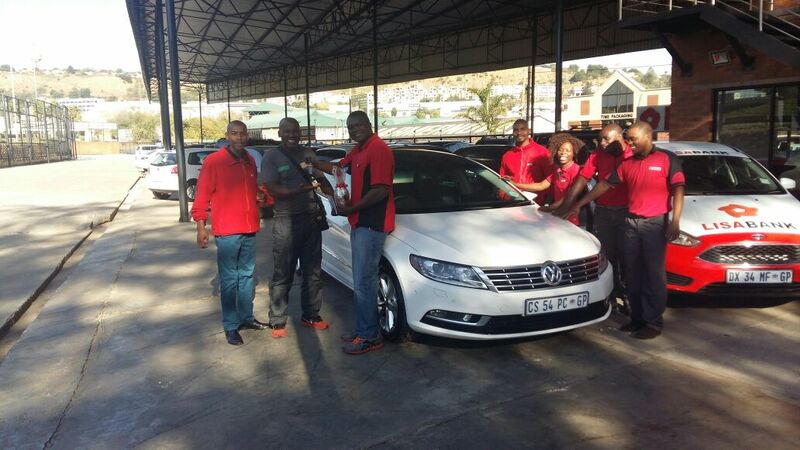 We work hard to ensure that your experience of buying a car is pleasurable and will bring smiles for miles. If you are having difficulty finding a well priced used car LisaCars will find your car. All you have to do is contact any of our six Used Car branches and our consultants will help find the right car for you @ the right price. LisaCars will find your car - Right Car @ Right Price !! I spoke to you a few weeks ago regarding the Hyundai I10 my daughter bough from Lisa cars in Kempton Park (Esther Park)The problem was sorted out and the the vehicle was returned to us. Thank you for your help as well as Lionel and Cheryl from your Esther Park branch they went out of their way to sort the finance and tire problem outI will definitely recommend LisaCars and your staff especially Cheryl for finance and Lionel for after sale support. I wanted to send a along this note to you and thank you for the fantastic services you extended to me and my husband. You offer excellent services and the experience has been worth the drive. I love my new car and it is such a best drive. PS: Just so you know when going somewhere with my husband I always insist on him driving but this weekend I did not mind driving him around. Once more thank you ever so much. MR SIMBA ASSISTED ME A VERY PROFESSIONAL MANNER AND HE WAS VERY PATIENT WITH HE EXPLAINED EVERYTHING PROPERLY TO ME. AND ALSO SOLD ME MY DREAM CAR WHICH WAS A OPEL CORSA OPC. WHICH WAS IN VERY GOOD CONDITION AND UP UNTIL NOW IAM HAPPY WITH MY CAR NO COMPLAINTS. AND HE FREQUANTLY CALLS ME TO CHECK IF M STILL HAPPY WITH MY CAR. Just wanted to give my gratitude to Charity for the excellent way in which she treated me, she is a very patient person, she kept me in the loop all the time during the process of the transaction, she called the following after taking the delivery of the vehicle to check how the car was performing, most importantly she keeps her promises, if she promises to call she does. very spot on, thanks Charity. I'd like to thank to Lisabank team, specially to Mr Justin for excellent service. I bought the car from this dealer and Mr Justin was very helpful and guided me through all buying process. I called him before and when I arrived, the car was waiting for me ready for test drive. Thank you once again for excellent service.